Not all wheat varieties are created equal. And no one knows that better than Harpinder Singh Randhawa. 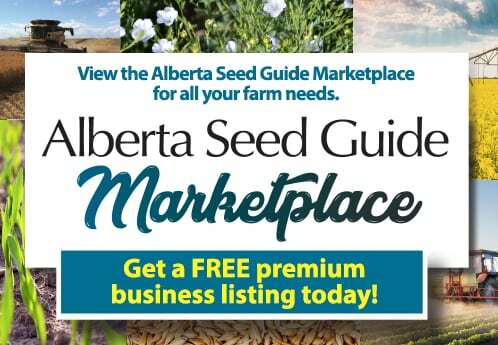 The spring wheat and triticale breeder who works at Agriculture and Agri-Food Canada in Lethbridge, has developed no less than eight high-yielding spring wheat cultivars and co-developed four high-yielding triticale cultivars for general production in Western Canada. 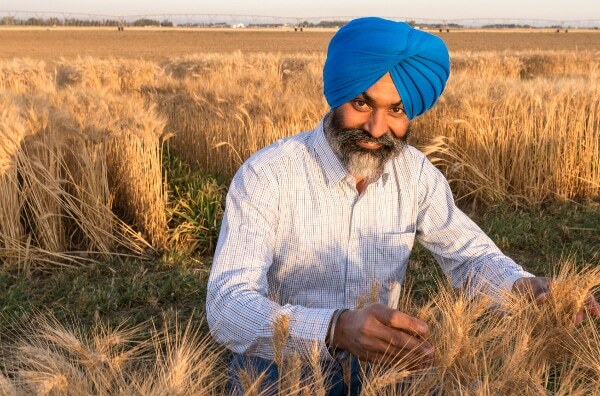 Randhawa’s passion for wheat breeding developed during his childhood on the family farm in Punjab, India. He attended Punjab Agricultural University, obtaining his BSc. Agriculture (Honours) in 1990 and his M.Sc. with a specialization in plant breeding in 1993. In 1994, he was appointed as assistant rice breeder at Punjab Agricultural University where he was part of a team whose objective was to develop high-yielding cultivars of rice. But his heart was set on wheat. “I came to Canada in 1996 and graduated with my PhD from the University of Saskatchewan in 2002,” he says. Following a short working stint at the University of Nebraska-Lincoln, Randhawa took a position as post-doctoral fellow at Washington State University at Pullman, focusing his research on developing new wheat genomics tools, novel strategies for rapid introgression of traits using marker-assisted backcrossing, genetic and physical mapping of agronomically important traits in wheat and eventually developing improved wheat cultivars. Since 2007, Randhawa has been working as a spring wheat and triticale breeder with AAFC at Lethbridge. His prime focus of research is developing spring wheat cultivars that have better agronomic performance, excellent end-use quality, and resistance to various biotic and abiotic stresses in Western Canada. His other research interests include the identification of new sources of disease resistance in wheat, genetic mapping, double haploid production and new breeding tools. He has published more than 60 research articles in international journals, he supervises many undergraduate and graduate students and post-doctoral fellows, and continues to attend national and international conferences. In 2016, Randhawa received AAFC’s Gold Harvest Award for innovation, collaboration and service excellence. With the closure of AAFC’s Cereal Research Centre in Winnipeg in 2014, Randhawa’s plant breeding workload increased. To that end, he stresses that the most important highlight in CPS breeding today and going forward is the development of the unique P4 partnership involving Alberta Wheat Commission, Canterra Seeds and AAFC. This program recently yielded its first commercial wheat variety: AAC Crossfield, a Canada Prairie Spring Red (CPSR) wheat with a short, strong straw and high yield potential. This first-of-its-kind partnership, totalling $3.4 million over five years, is aimed at combining the strengths of producers, along with the public and private sectors, to create improved CPSR wheat varieties for farmers. Breeding for this partnership is being led by Randhawa. It’s not all doom and gloom, however. Cereals Canada, Alberta Wheat Commission and Canadian International Grains Institute certainly are doing their part to find consistent markets for the minor classes of wheat. And for his part, Randhawa continues pushing ahead to develop better cultivars for western Canadian growers. He believes new and improved technologies will help in that regard, but having “boots on the ground” on a day-by-day basis is still highly important in the plant breeding field. “New technologies certainly offer some advantages, such as grains in efficiencies, new genomics tools and artificial intelligence,” he says. “Some of those things will tweak and change and help us, but it won’t happen overnight. There are many things we have to do the hard way, there’s no easy way or shortcut. “Plant breeding is an interaction with everything — the growing environment, the diseases, the climate, the drought, rain, fertilizer. You can predict things with your computer models, but you can’t predict everything, and you can miss something you never thought of.